Chris has been involved in Real Estate Investing since 2001. He has worked in Property Management since 2005. In 2010 he began buying and selling Foreclosure / Bank Owned Properties, which led ultimately to buying and selling Foreclosure Auction Properties. Chris currently works in Real Estate Investments and Manages Internet Sales for Charleston HOME Properties. 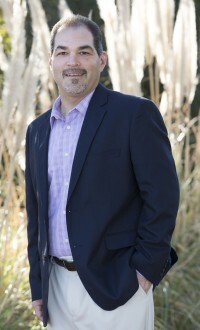 Prior to a career in Real Estate, he owned his own Independent IT Consulting business for eight years, and he co-owned two successful retail businesses in Charleston for four years. Chris offers broad knowledge and excellent experience in many areas of Real Estate, Home Renovation and Business. Other than the heat, there is not too much Chris doesn't like about the Lowcountry. Beaches, Surfing, Boating, Golfing, and even Ice Hockey, Charleston has something for everyone and Chris would be glad to help you find it! Chris and Dawn were extremely knowledgeable, very patient and instrumental in finding the right place! Chris and Dawn helped us find a house that fit our needs perfectly. We moved from Canada and they made the transition easy. Chris and Dawn, I could write a manual about you and how wonderful you have been to us; patience, knowledgable, always ready to help us in whatever-showing properties to seeing to it that our new home is running smoothly. Dawn and Chris were fantastic! Not only did they get a contract on our condo in 30 days, but they provided us with support and help that made the listing and selling absolutely painless. We HIGHLY recommend them for your real estate needs. Thanks again for all your help in the purchase! I said it before, but I'll say it again, we just loved our week at the house and can't wait for our next week. Chris was awesome to work with and I'm so thankful he was our agent! Hard working, honest and straightforward he answered all my "first time buyer" questions & was always available. Thanks for helping us along the way to navigate the buying process and make it an enjoyable experience. We highly recommend Chris & Dawn, great people!! Chris’ experience was the difference in getting our home ready for sale. With his help we had a contract in hand within 48 hours of listing it! Thank you again for all you have done for us. You were a perfect agent for me and I enjoyed working with you. When I know anyone looking for a home, I am sending them your way.